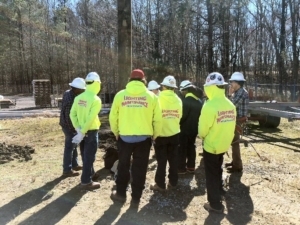 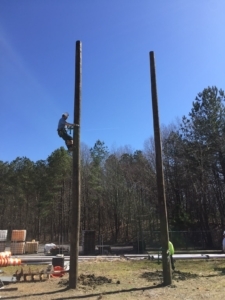 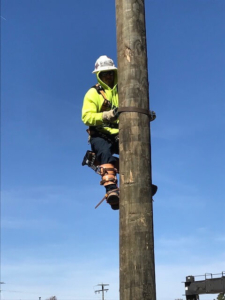 Pole Climbing Training | Lighting Maintenance Inc.
Aaron Greene (SOVA Operations) and John Rudasill (Safety Manager) planned and organized a pole climbing training class for our Southern VA personnel and a few guys from Forestville MD’s office. 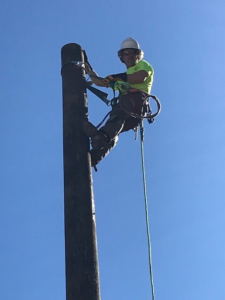 To make this possible John and Aaron had to acquire all the climbing gear and 2 utility poles which were installed in our Richmond office’s yard. 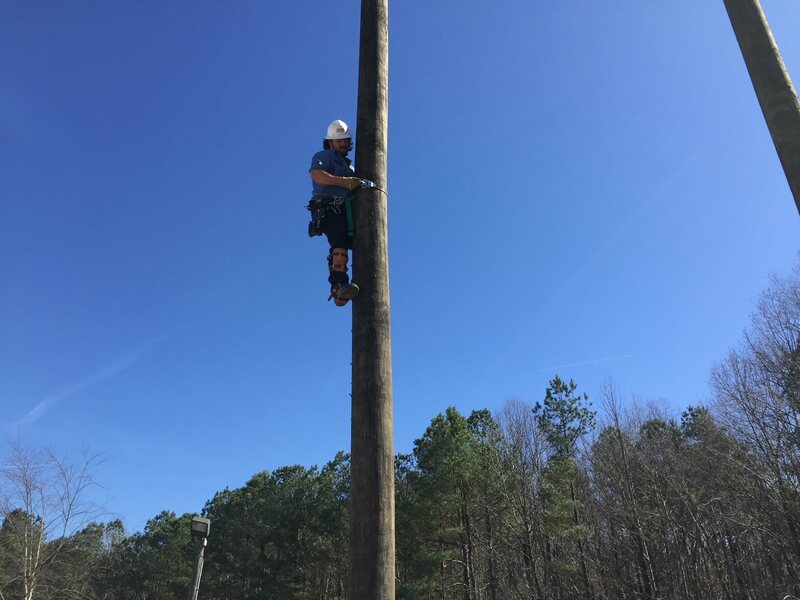 The day of training was absolutely beautiful, all students passed both written and practical testing and are now certified pole climbers. 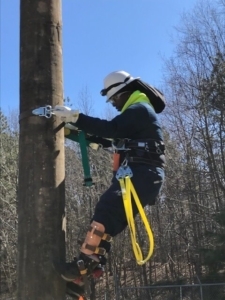 We contracted with the leading lineman training school in the country The Institute for Safety in Powerline Construction. 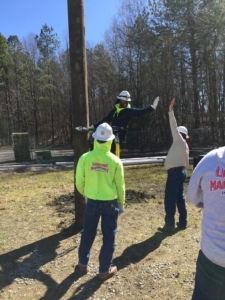 Tony D. Boyd, CUSP, COSS from ISPC flew out to our Richmond location to perform the training, all agreed he did a great job. 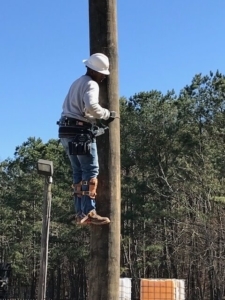 It’s all about training and safety!